The K and hard G sounds are often studied as a pair because they are made in the same part of the mouth. They are both stop consonants, but the K sound is voiceless and the G sound is voiced. Let's learn how to pronounce these two consonant sounds. Click Here for the American Accent Audio Course. The voiced G sound (IPA symbol: g) can be found in English words such as girl, go, egg, big, single, and dog. The G consonant can also make a softer j sound that is found in words such as Germany and gym (IPA symbol: dʒ). We will study this sound in a later lesson. Both of these sounds are called stop consonants. That means the air used to make these sounds is stopped for a short time before it exits your mouth. Both of these sounds are produced by stopping air in the back part of your mouth. The back part of your tongue should touch the roof of your mouth in the back to briefly stop the air. You release the air to make these sounds. The force of the air is stronger for the K sound than the G sound. The G sound is voiced while the K sound is voiceless. In the English language, we use many voiced sounds. That means that the vocal cords vibrate when you say that sound. The G sound is a voiced sound because the vocal cords vibrate when you make the sound. 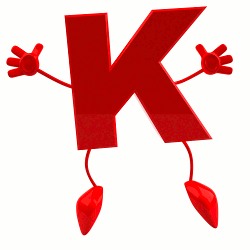 The K sound is a voiceless or unvoiced sound because the vocal cords do not vibrate when you make the sound. Instead, we use air to make the sound. In this video, Rachel from Rachel's English will show you how to position your mouth to make each of these sounds. There are six spellings of the K sound: k, ck, c, ch, x, qu/que. ch spelling - These words are a challenge. In these words, the ch spelling is pronounced with a K sound. qu/que spelling - These words are more difficult. The qu / que spelling is pronounced as a K + W sound. When the que spelling is at the end of the word it is pronounced as only a K sound. Now, let's practice the voiced G sound. Remember, your vocal cords should vibrate when you make this sound. 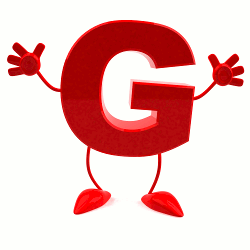 There are three spellings of the G sound: g/gg, ng, gue. The g spelling sometimes makes a softer g or j sound like in Germany. Words are pronounced with the softer j sound when the g spelling is followed by e, i, or, y (giant, gym, large). All other spellings should be pronounced with the hard G sound you have learned about in this lesson. You can learn more about the ng pronunciation in this lesson: The Nasal Sounds: M, N, and NG. gue spelling - These are challenging words. When the gue spelling is at the end of the word, it is usually pronounced as a G sound only.  Some words do not follow the rule. When the gue spelling is in the middle or beginning of a word, it is pronounced as a g + vowel sound. You can use a dictionary or online pronunciation guide to help you learn the correct pronunciation of new vocabulary words. Remember to voice the G sound and use only air for the K sound! Now say these sentences out loud. 1) The dog can lick the girl. 2) Kick the big green ball. 3) The big cake cooled in the kitchen. 4) The school chorus will sing for the queen in England. 5) Get a clean fork from the sink. 6) Please be quiet so I can ask you a quick question. 7) I think I like to speak the English language. 8) The kitten is in black the box. 9) Bring Kate the bigger egg. 10) He quickly corrected the group. Remember to practice these two sounds together, so you can learn their differences and say them correctly! to English Word Pronunciation: Improve that Accent!